After the crib to desk project I wondered if I would get called to do some other interesting things — well I did! Designing and building heirloom quality furniture is what I really enjoy doing but to be honest, anything that challenges me and keeps me in the shop is fair game. I’ll do a more in-depth blog about the corner sample I’m doing for the picture frame but here’s a teaser picture until I get that one written. 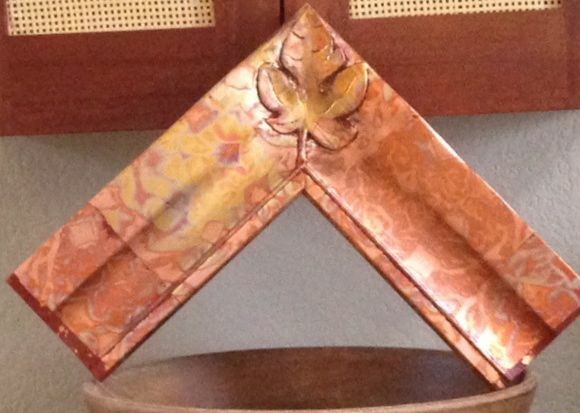 While we were in Rome on vacation I received request via the website contact form asking if I’d be interested in creating a serving paddle for beer samplers. Hmm, pretty intriguing so once we returned I checked things out before replying. 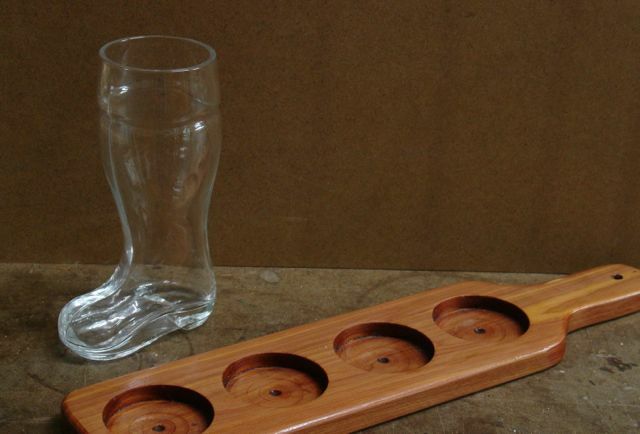 He produces various sizes of beer mugs shaped like boots that are used for advertising and gifts for the groomsman of a wedding party. Here’s is a LINK to his website so you can see more. The role I could see myself in was mass producing an item that he would market and sell on his website which, if you know my style of work; is not one I’d enjoy. In any case, we set up a meeting at his office and I came home with the boot and the paddle you see at the right! Of course, we’d like to have that first pattern be the one that fits and works perfectly but that usually isn’t the case. the boot has quite a “bulbous” shape at the bottom so the sole has an undercut. The pattern is a little too sloppy for my tastes, the glass itself is top heavy so I feel it should have a tighter fit in the paddle. Also decided to put the boot at a slight angle in the paddle. Although this makes the paddle a little bit wider it also shortens the over-all length and seeing it an the angle makes it read more like the boot it is. On to template #2! The other intriguing job has to do with this small, trademark button you see here at the left. It may be a bit hard to make out but it was the clue that led to a successful, internet search! A interior designer I work with here in Las Vegas, Durette Candito of Urban Ranch asked me if I’d meet her at a clients house to look at some chairs. I was told they were family heirlooms and they needed to be re-webbed and cleaned up a bit. It just so happens that the dining chairs I made for Diane and I need the same work so I thought it would be a good job to take on and gain more experience in that area of work. 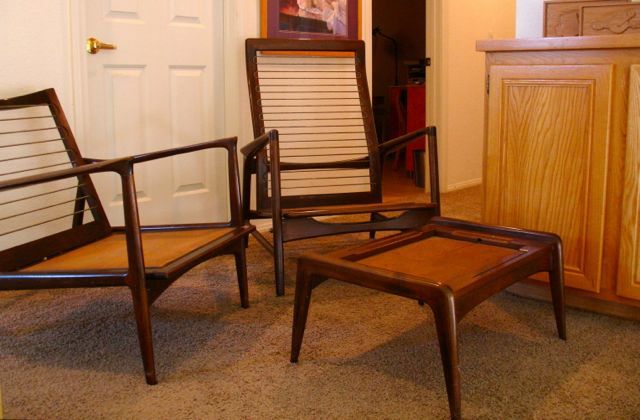 We met at the house and here is what I saw, a beautiful set of Danish Modern chairs which included an ottoman, chair, and recliner. Over the years, the original webbing had been replaced by plywood panels which obviously are not nearly as comfortable. The initial plan was for me to make an insert with traditional webbing and fasten them to the chairs without ruining there aesthetic. Before I committed to that though I wanted to do some research and found a company in San Diego that specializes in replacement hardware for these chairs! A unique feature of them is how the recliner operates. The owner of them couldn’t remember how they worked. 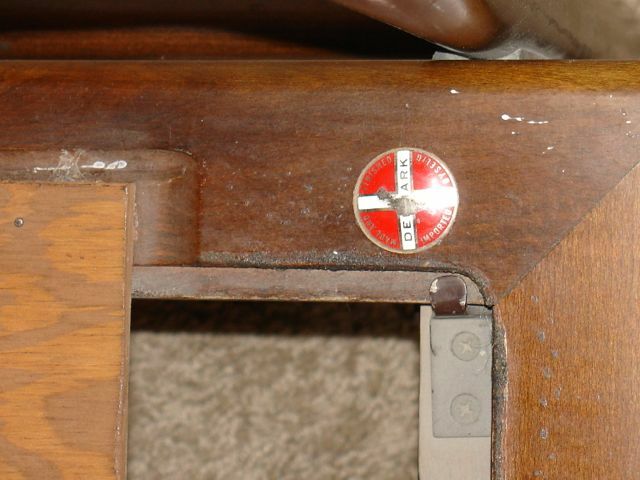 There is a slot and bracket at the front of the chair, a lever on the side releases a pin and the entire seat slides forward. There are a series of holes under the seat frame to lock the seat into different locations. I also noticed that in the recessed area there is a long, narrow slot and wondered what that was for. My internet research indicated that these chairs used a system called Fagas Straps which consists of elasticized webbing with angled metal clips at the ends. These are woven through the seat opening and pressed into position. The Evans Company in San Diego still imports these from Denmark! After calculating the size and number of straps needed they were ordered over the weekend so now it’s a waiting game to see how long it will be before they arrive, hopefully it’s not a slow boat from Denmark! In the meantime the plywood bottoms will be removed and the chairs will be carefully cleaned to maintain their 50+ years of patina and character. This entry was posted in Picture Frames, Uncategorized and tagged beer boots, Danish Modern chairs, Dutch gold, Fagas Straps, seat webbing, Selig Chairs, serving paddle. Bookmark the permalink.